We have curated this list with a diverse selection of plugin to make sure there is something for everybody. No matter what your priority is, you will find something that fits the bill. Also, the list consists of paid as well as free plugins. So rest assured as your budget will not be a cause of concern. The JetPack WordPress plugin comes from the developers of the CMS themselves. It is a multi-facet plugin which delivers a lot of features and functionalities, but we are interested in its security-related services. With the WordPress security plugin installed, you won’t have to worry about data loss, downtime, or hacking issues. It will protect you from Brute force attacks, and safeguard your site using malware scanning, code scanning, spam filtering, downtime monitoring, and automatic threat solution. There is also the option to secure your login with two-factor authentication. And even if all these security measures are breached, even then you won’t have to worry as the plugin takes daily and real-time backups of your entire website. So even if some disaster strikes, all your data will be safe, and you can quickly revert to one of the working configurations of your site. Wordfence Security is one of the most comprehensive WordPress firewall and malware scanning solutions in the market. It is super simple to use but at same time packs in an arsenal of security tools. It has been developed entirely from the ground up following all the latest firewall rules, malware signatures, and malicious IP addresses to keep your site safe from any threat. This security plugin for WordPress mainly functions as a WordPress Firewall and Security Scanner but also delivers other features on top of this. For starters, you will get a live traffic insight for monitoring traffic trends and hack attempts along with the hackers IP address, time of the attempt, time spent on site, and much more. You can even block them based in IP and build rules on IP range, Hostname, User Agent and Referrer. And all the features we just mentioned are available with the free version of the plugin. There is also a premium version which introduces even more advanced options. This includes a real-time firewall rile and malware signature updates, real-time blacklist blocking, two-factor authentication for blocking brute force attacks, and much more. The iTheme Security WordPress plugin formerly went by with the name WP Security. It is very popular amongst the WordPress community and packs in an awful lot of features to help better protect your website. In total, you will get around 30 different options to enhance your site’s security and protection. This WordPress security plugin prioritizes in detecting plugin vulnerabilities, obsolete software, and weak passwords. It is here that it is worth noting that the plugin available both in a free as well as a paid version. The free version covers only the basic functionalities whereas the more advanced options are preserved for the pro version. Once installed, it will help you with strong password enforcement, lockout bad users from your site, create database backups, implement two-factor authentication, and much more. You will also get access to Google reCAPTCHA integration, 404 detections, brute force protection, and even update WordPress salts. 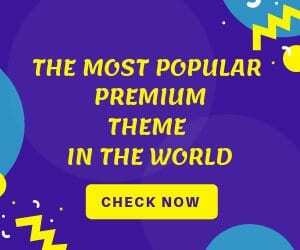 All in One WP Security & Firewall is a completely free to use WordPress plugin for enhancing the security of your WordPress website. It comes with a friendly user interface and decent customer support. People new to WordPress will appreciate the visual side of the plugin and the use of graphs and meters to showcase the security strength and necessary actions to enhance protection. Now this security plugin for WordPress does stay true to its name and offers a very comprehensive security solution. Even though it is entirely free to use, you will get features such as user account security, login security, user registration security, database security, file system protection, IP blacklisting, Firewall, options for access control, HTACCESS and WP-Config.PHP file backup and restore, protection from brute force attacks, WHOIS lookup, Spam protection, security scanner, and much more. All the security and firewall rules are also conveniently categorized into three tiers – basic, intermediate and advanced. This way you can apply all the rules progressively so that it doesn’t hamper your site’s functionalities. Another one of the popular WordPress security plugins, Sucuri Security is an internationally recognized brand that specializes in WordPress security. It is available in both a free as well as a paid version, yet the free version packs in all the necessary options to keep your site protected and secure. With the free version alone, you will get options such as security activity auditing to detect malfunctioning plugins, file integrated monitoring, blacklist monitoring, security notifications, and much more. All these are enough to safeguard your site from regular hacking attempts. But if you want more powerful protection, then you can go for the premium version which offers a dedicated website firewall, 24*7 customer services channels, frequent scans, and many more advanced options. You will also get multiple variations of SSL certificates and Advanced DDoS protection. BulletProof Security WordPress plugin offers an array of security features such as malware scanning, firewall protection, secure login, database backups, Anti-spam, and so on. It is available in both a paid version as well as the free version. The free version offers basic security options, but the paid offering packs a boat-load of security tools – much more than any other WordPress security alternatives in the market. It is always advised that you try out the free version to get a sense of what the plugin has to offer. Feature wise it is decent with all the options we just mentioned along with a dedicated hidden plugin folder, maintenance mode, and a full setup wizard. It is nice that the developers have thrown in a setup wizard as the UI isn’t all that user-friendly towards beginners. Now if you choose to upgrade to the paid version of the plugin, then you will get access to plenty of unique and advanced tools such a BPS Pro ARQ Intrusion Detection and Prevention System. Other features include cURL scanning, folder locking, and much more. VaultPress is another security oriented WordPress plugin which comes from the developers of the WordPress CMS platform. It is powered by JetPack, one of the plugins we already discussed above. 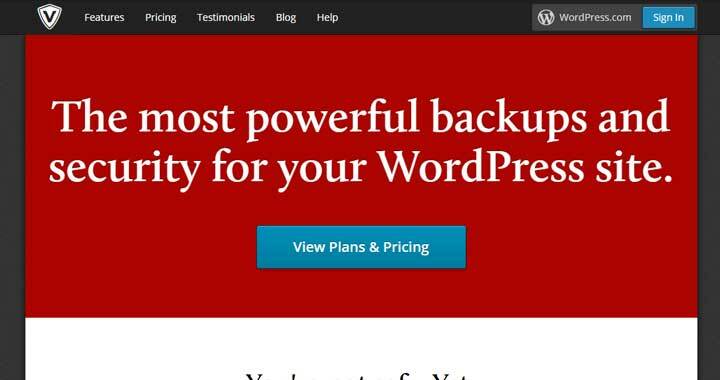 It is available for free off the WordPress repository and will provide you with backups and restoring functionalities. However, if you want to be protected from hackers and malware, you will have to go premium. Therefore in the context of a security plugin, it is safe to say that VaultPress is a paid alternative. But, the subscription plans for the plugin are incredibly affordable and provides a decent collection of tools to safeguard your website. This WordPress security plugin can help you monitor and gain a detailed insight into suspicious activities going about on your website. You will get a tabbed view to account for the history of threats that have then dealt with along with ones that have been ignored. You can also see stats and manage security details all from a clean dashboard UI. You will have to know what type of lock you are picking before you start picking it. The same applies to online hacking. WordPress as a platform is very secure, but it does have its vulnerabilities. Now hackers search out primary weaknesses in WordPress, then goes on to search for WordPress powered websites and exploit those weaknesses to hack into that system. All this can be avoided if you can hide the fact that you are using a WordPress website. Your site’s underlying HTML code will show hackers whether or not you are using WordPress, and it is very easy to access as well. Luckily, if you installed Hide My WP WordPress plugin, this sensitive information can be hidden from prying eyes. A security safeguard such as this alone and boost your site’s overall security significantly and keep your site safe even if some major vulnerability in the WordPress CMS has been discovered. Now apart from removing WordPress meta from headers and feeds, the plugin also provides some other functionalities. It can help you replace any word in your HTML output file. You will even get a notification if someone is mousing around in your site along with the users IP, user agent, referrer, and username. Other than this, you have options for Compressing HTML output, Custom 404 pages, and much more. SecuPress is one of the newest security plugins for WordPress. It comes with a great UI, and a feature set equipped with tools to help you with malware scanning, blocking bots and suspicious ID, and much more. 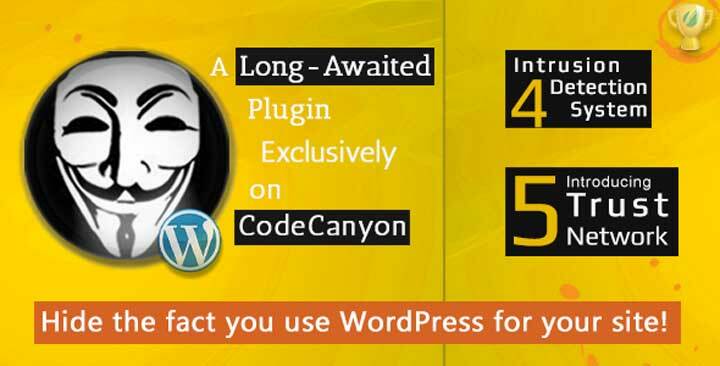 This WordPress security plugin is available as a freemium offering. There isn’t much difference between the free as well as the paid tool as far as functionality is considered. With the Pro version everything is handled automatically, but with the free version, you will have to go about doing the scans manually. Notable features of the plugin include anti-brute force login, blocked IPs, firewall, security alerts, malware scanning, geolocation blocking, and much more. There are also plenty of other tools included which you won’t necessarily find with a security plugin. This provides protection and security keys, blocking visits from bad bots, vulnerable plugin and theme detection, and detailed security reports in PDF format. 2-Factor Authentication is one of the most robust first-line of defence you can have for your website. Besides the username and password, 2-FA requires the person logging into your site will also need to have an extra piece of information which only the user(you) have. By installing Google Authenticator – Two Factor Authentication plugin to your website, you will be able to integrate this extra line of defence to your site. This security WP plugin comes in a free and a paid version. The free version only provides 2-FA functionalities for one user, that this is for a lifetime. The available methods for authentication include Google Authenticator, QR Code, Push notification, Soft Token, Security Questions, and much more. If you go pro, you will get additional authentication methods, multiple login options, backup methods, and much more. 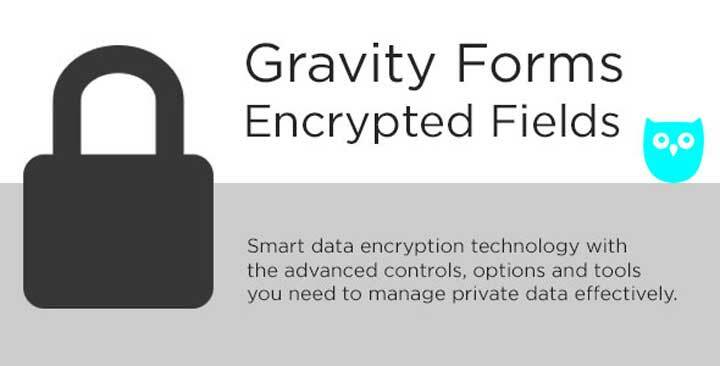 If you have Gravity Forms installed on your WordPress website, then the Gravity Forms Encrypted Fields is a plugin you should also consider investing. The visitors on your site that come in and fill out these forms entrust you with keeping their information safe. Furthermore, if you want to be GDPR compliant website, then you will have to keep their data safe. All this can be easily achieved by installing the plugin. Every bit of information provided by your visitors can be encrypted and kept safe from hackers. Furthermore, you will have complete control in choosing which fields and bits of information you wish to encrypt. 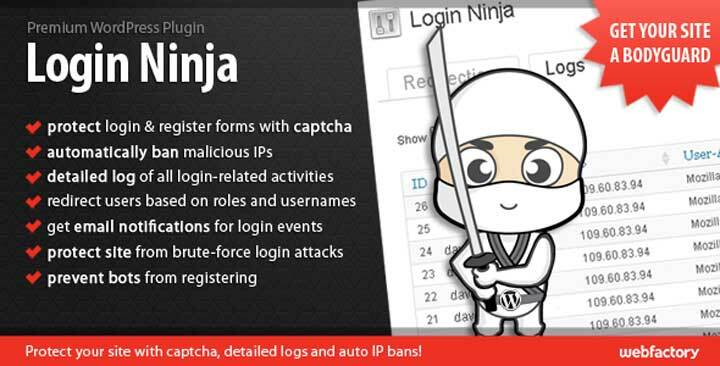 Login Ninja WordPress plugin introduces features such as Captcha, detailed logs, and IP bans to help enforce security parameters to your website. After installing the plugin, you will get a user-friendly UI from where you can set up captcha enabled login and registration forms. This will help you to safeguard your website from bots. Other than this, the plugin can also help you with the automatical banning of malicious IPs, detailed logs of all login activity, option to redirect users based on roles and usernames, email notifications for login events, protection from brute force attacks, and much more. Here is a plugin that will interest the online shop owners using WordPress. 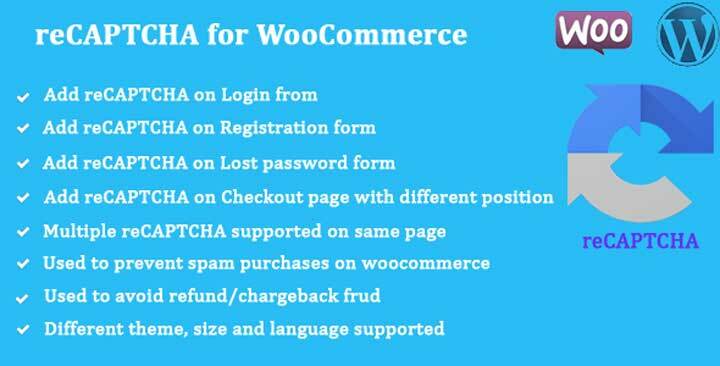 As you know, WooCommerce is a WordPress plugin which allows you to integrate an online store to your WordPress website. Now if you want to enhance the security and protection of your e-store, then you can add the reCAPTCHA for WooCommerce to your site. The plugin allows you to add reCaptcha to a lot of fields and ensure protection from bad bots. You can add a reCaptcha to your login forms, registration forms, lost password forms, checkout page, and much more. All these can help you stop spam purchases, avoid any refund or chargeback fraud, and overall give your business that extra layer of security from exploitation. 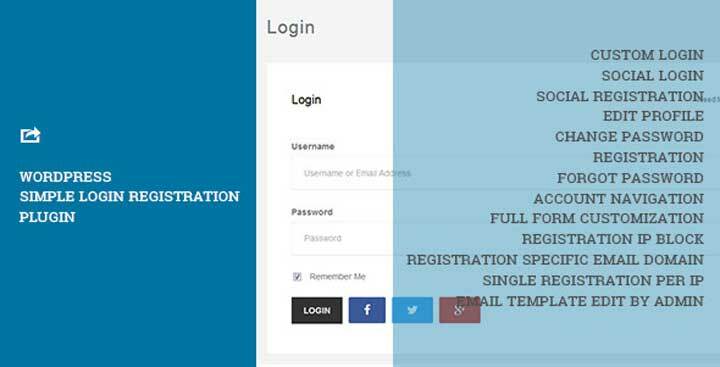 WordPress Simple Login Registration is precisely what its name implies – a WordPress plugin to secure your WordPress website. Once installed, it will automatically detect hacking attempts and block them, check for vulnerabilities, and even send you security notifications. Notable features that are offered by this WordPress security plugin includes PHP configuration hardening, local file intrusion, directory traversal, and much more. You can also use it to ban malicious IP addresses, actively scan POST, GET, and Cookie variables, hide your wp-admin directory, disable file editing, and a whole lot more which will make hacking into your site almost impossible. Any Other Security Plugin for WordPress? So these were our picks for the top security plugins for WordPress. Do let us know if you found the list to be helpful. Also, share it along with your friends or colleagues who owns an unprotected website. Again, if you have already used, or currently using any of the plugins we have mentioned here on the list, then do let us know about your experience in the comments section. 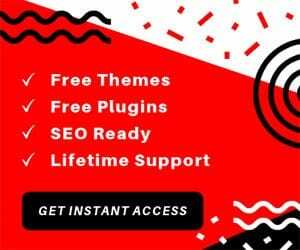 Your insight and experience will be invaluable to your fellow readers as they try to choose the best security plugin for their WordPress website. Nice list of plugins shared! Thanks for sharing it. Thank you for the post guys. There are plugins mentioned to tighten up security in each section of the site. I could have easily missed a few if I didn’t get to read your article. Great work! !